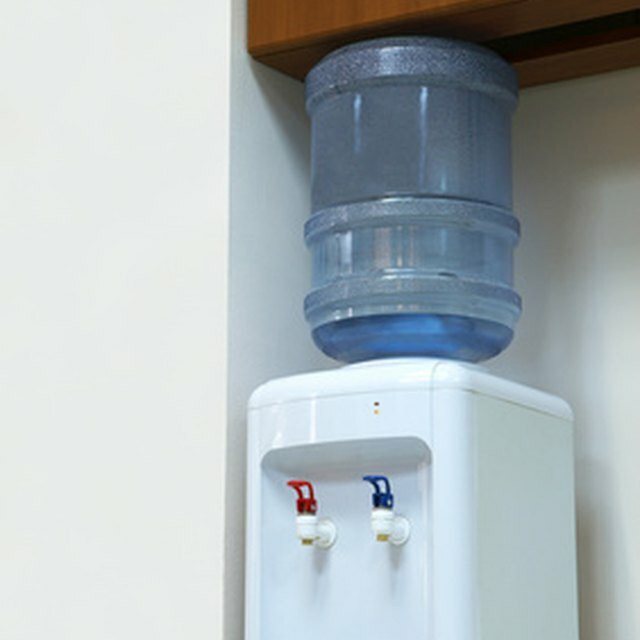 GE SmartWater coolers provide offices and other shared workspaces a refreshing supply of chilled, filtered water. Troubleshooting the cooler if it stops refrigerating the water involves inspecting several parts for signs of a fault. In many cases there is a simple solution that can be quickly implemented without tools. GE SmartWater coolers provide instant access to hot and cold filtered water. The SmartWater must be connected to a functioning power supply. Check this. The plug might have been removed to make way for another electronic device by mistake. If the unit is still plugged in, make sure the outlet is providing electricity by plugging something else in. The fuse or breaker protecting the circuit could have tripped if the outlet isn't working. The water in the tank takes about 30 minutes to cool. If you have recently installed a new tank of water, allow time for the appliance to chill. Chilled water is dispensed via the blue nozzle when the SmartWater has had time to cool down. High and low temperature limiter switches at the back of the SmartWater turn the heating and cooling systems off if the temperatures become too high or low. Switch the buttons on the back of the appliance to the "0 - OFF" position, wait five minutes and switch to the "I - ON" position. After 30 minutes you should have cold and hot water. Contact General Electric if problems persists; one of the internal parts responsible for refrigeration could have failed. GE might recommend replacing the unit completely or replacing one of the internal parts. You might be entitled to free service if the SmartWater is still within its warranty period. See Resources for a link to GE's repair scheduling site.